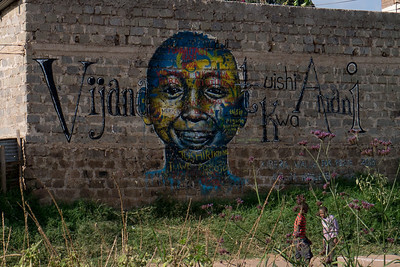 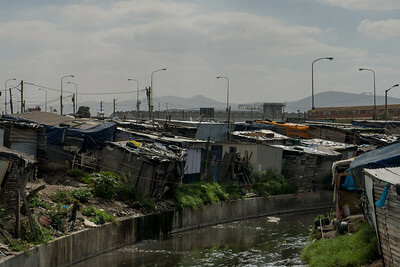 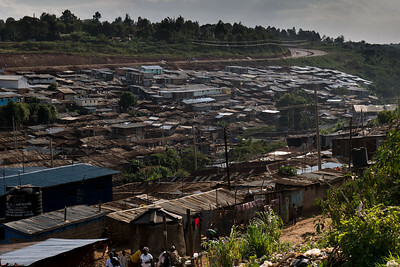 Working with several grassroots initiatives in Kenya, I visited to the Kibera Slum in Nairobi. 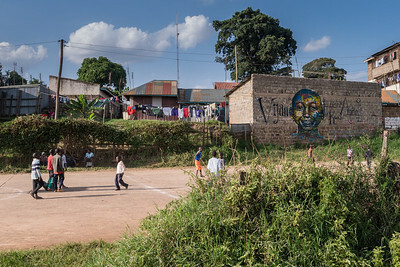 The Matibabu project runs a school in Kibera, and I also took a locally-run tour of the area. 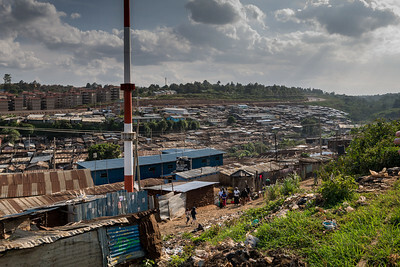 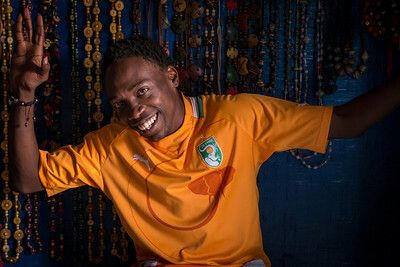 Slum tourism is laden with ethical quandaries, and I left Kibera remembering the many kindnesses — but also fully aware that in the future I will not visit the slums without a reason for being there. 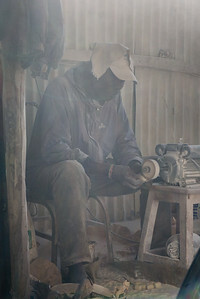 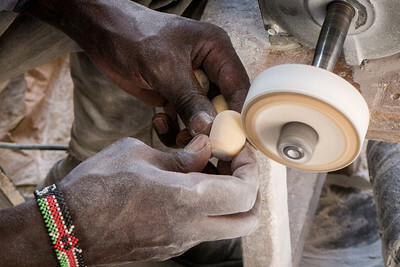 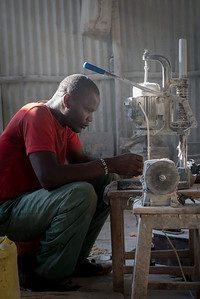 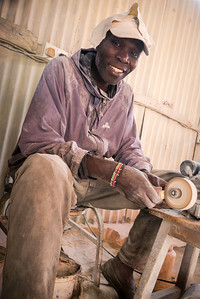 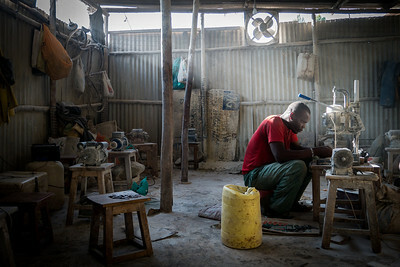 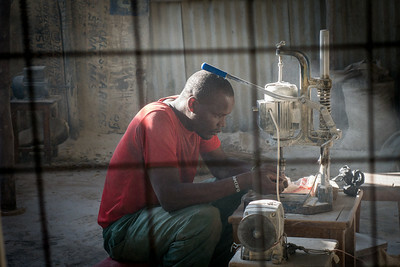 Workers grind bone into jewelry for sale locally in the markets and to tourists in Kibera. 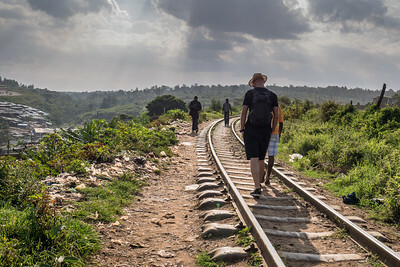 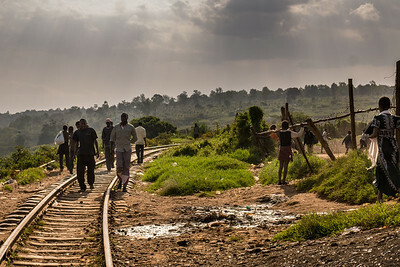 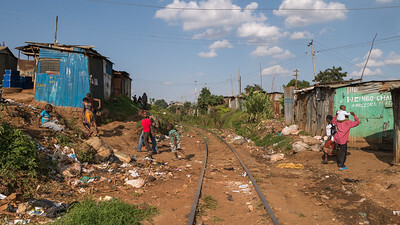 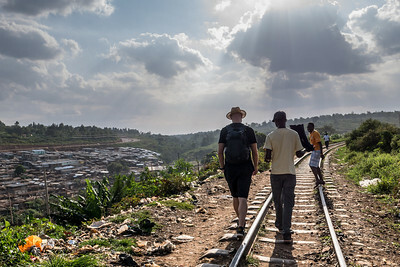 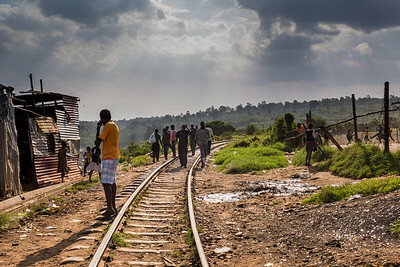 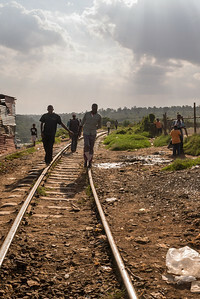 Walking the railroad tracks in Kibera as the sun is sitting low and workers return home for the evening. 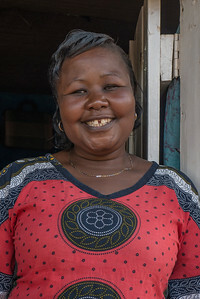 All smiles and a wealth of knowledge as we were guided through Kibera.